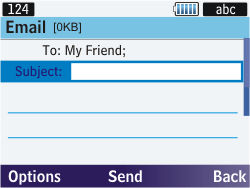 Select Email, and press the Select key. 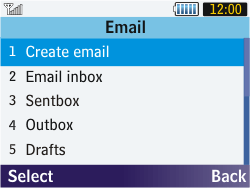 Select Create email, and press the Select key. 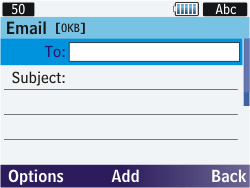 Under To, enter an e-mail address, or (in this case) select a contact using the Add key. 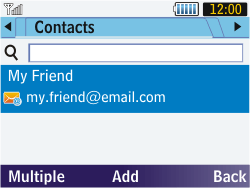 Select a contact, and press the Add key. 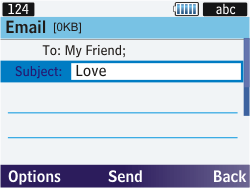 Select the text box, and enter the message. 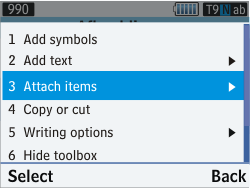 Select Attach items, and press the Select key. 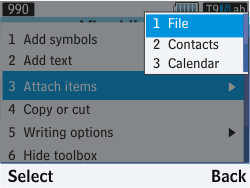 Select File, and press the Select key. Select Images, and press the Open key. 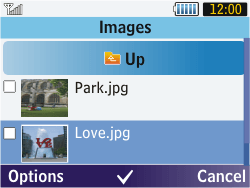 If prompted, choose the location of the pictures. 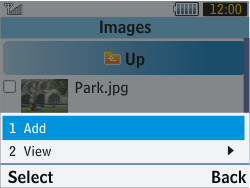 Select a picture, and tick it using the central key. 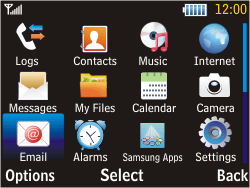 Select Add, and press the Select key. 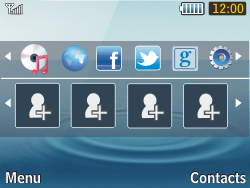 To add a sound or video clip, press the Options key, select Add Items, press the Select key, select File, and press the Select key. 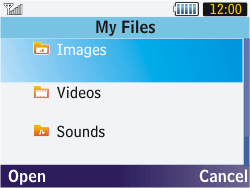 Select a sound or video file, press the Options key, and then the Add key. 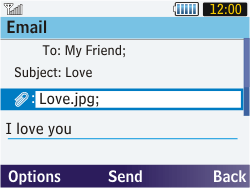 To send the picture with text, press the Send key.